A man from Brisbane is seeking more than Brisbane man seeks more than $277,000 following a long flight spent next to an obese passenger – forcing him to sit in a contorted position. The man was not only forced to sit uncomfortably, but the passenger seated next to him was also visibly unwell. The man claims he has developed health problems as a result of this uncomfortable journey. 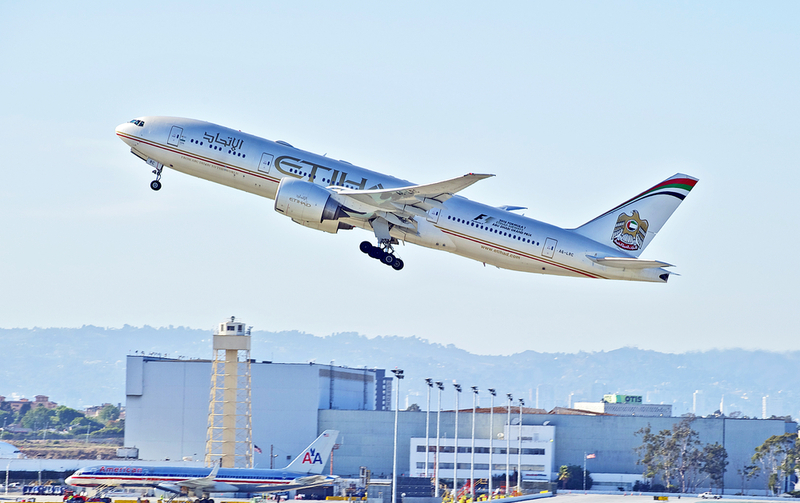 However, Etihad Airways has made clear that they will fight this action to avoid the substantial pay-out. James Andres Bassos from Brisbane who is 38 years-old claims that his flight from Abu Dhabi to Sydney in 2011 has caused a back injury, as a result of being forced to contort and twist his body in order to escape contact with the allegedly ill and obese passenger next to him. Bassos claims that the other passengers body spilled over into his seat and also that the other passenger was frequently coughing with fluid being expelled from his mouth. However, Bassos was offered access to a crew seat even though this was limited. He is now claiming over $227,000 in relation to medical expenses, lost earnings and superannuation. The lawsuit has been brought before the district court in Queensland. An Etihad Airways spokesperson said: “Etihad Airways will continue to oppose the action and now that Mr Bassos will finally face a medical assessment in December 2015, as directed by court, we believe that the matter will proceed to an early conclusion,” The spokesperson went on to describe how the safety and comfort of passengers using the airline was of ‘paramount importance’ and that the airline does not tolerate ‘unruly behaviour’ (which seems a little irrelevant). Etihad's lawyers attended court in Brisbane in an attempt to have the case thrown out, however, the district judge is not convinced that the passenger doesn’t have a case and as ordered that Bassos undergo the requisite medical assessment. Furthermore, the judge stated in published reasons that she did not believe that Bassos had no chance of winning. Can You Make a Claim If You Are Injured Sitting Next to an Overweight Person? This will be an interesting case looking at the rights of passengers and responsibilities of airlines and we are curious to discover the outcome here at Unlock the Law. In the meantime, if you have suffered an accident or injury that wasn’t your fault, read our ultimate guide to personal injury claims on transport here. Or if you are having trouble with an airline, read our airline-related guides here.